The birthplace of the Rodenstock company was in Würzburg. Previously active as a travelling salesman, Josef Rodenstock settled in Würzburg in 1877 and started making and selling barometers, precision scales and measuring instruments in addition to spectacles lenses and frames from 1878 onward. It was Josef Rodenstock’s belief that sight defects were not an illness, but could be corrected using the right spectacles. He developed his first lenses, the so-called "diaphragm spectacle lenses" in 1880 and they went on to sell very well. He continued to register further patents, including one for a refracting unit. Rodenstock spectacles were not cheap, but in contrast to the already made up spectacles usual at the time, were fitted personally to the wearer. As early as 1882, Rodenstock was already making exports to Austria, Switzerland, the Netherlands, Denmark, Italy and Russia. The company relocated to Munich in 1883. 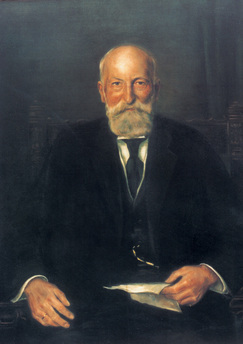 Josef Rodenstock purchased the present company premises in Munich at a branch of the Isar which was then still outside the town limits in early 1886. The existing residential building was converted into a handicraft operation for the manufacture of spectacle lenses, telescopes, camera lenses and ophthalmic optical instruments. Camera lenses and lens elements were an important part of the company’s business. Rodenstock financed the expansion of the company from the profits from this division. A farmhouse on the outskirts of Regen in the Bavarian Forest was converted and expanded for the manufacture of spectacle lenses and optical lens elements in 1898. Additional factories close to Regen soon followed; however, these were all closed later and at the latest during the depression. The Regen works maintained its leading role in the production and development of spectacle lenses and today operates as a technology and engineering centre for spectacle lenses. The Rodenstock family company metamorphosed from a more handicraft-focused factory operation into a modern industrial company. The product range of Rodenstock at the time included lenses and rimless spectacles, pince-nez, monocles and frames of steel nickel, rolled gold, horn, hard rubber, galalith and tortoiseshell. Bifocal lenses with a fused segment and the first UV absorbing lenses were being manufactured even before the First World War. With the outbreak of war in 1914, the painstakingly developed export business collapsed. However, the "Tele" department experienced a boom with binoculars for the army. Everything looked dark at the end of the war in November 1918 as there were no more government orders. Nevertheless, Rodenstock managed to revitalise its business links abroad. In the 1920s and 1930s, Rodenstock made successful large series of lenses for the camera industry; the company’s own production of complete cameras was closed down again due to the pressure from customers on the camera lens side. The Depression caused sales to shrink by more than half from 1930 to 1933. Pressure from the banks increased - it was only just possible to prevent a takeover by a competitor and by the Nazi armaments industry. From 1942 to the end of the war, practically the whole production range was fixed by the Armaments Ministry. Rodenstock’s range included tank sights and periscope prisms for tanks. The production of spectacle lenses of all types was, however, classified as essential to the war effort and was maintained throughout the whole war. 40% of the Munich premises was destroyed by the effects of war. Thanks to the support of the workforce, Rodenstock was able to restart spectacle production only four weeks after the end of the war as the only large factory in the American zone. However, success really only kicked in after the reform of the currency in June of 1948. Rodenstock in particular focused on the production of frames and started one of the world’s first personality-based advertising campaigns with prominent stars in the 1950s. Rodenstock experienced its own "economic miracle". The growth rates in the years from 1947 to 1953 were always between 10 and 50%. Exports also grew. Rodenstock invested more than 20 million marks in the expansion of the factories in Munich and Regen between 1948 and 1960. Further locations were built up in Germany. Bifocal lenses dominated the lens sector. 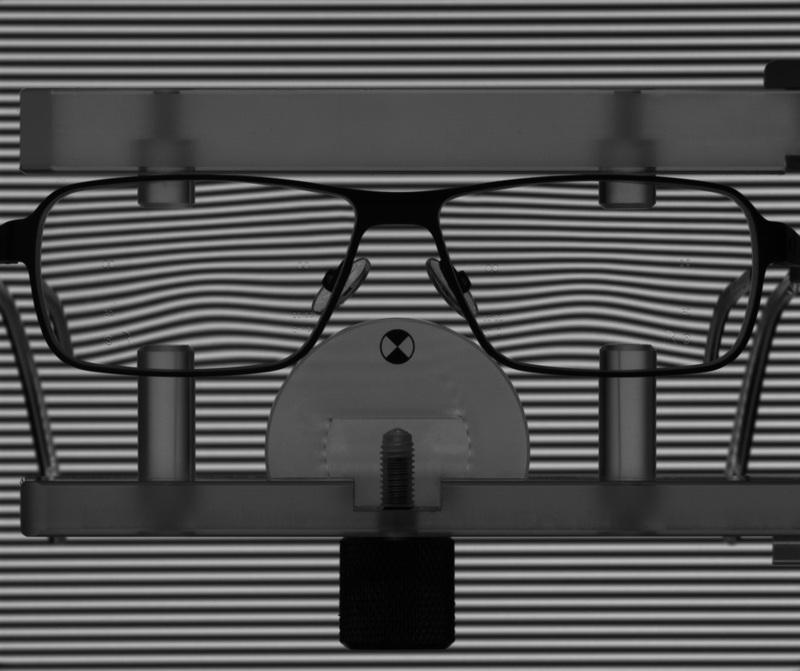 In 1960/1961, glass lenses were coated for the first time with magnesium fluoride to prevent the irritating reflections and ghost images on the lenses. In 1968, Rodenstock was the first European manufacturer to launch photochromic lenses on the market. The first lenses in plastic followed ten years later; these were lighter and thinner than their mineral glass counterparts. In the 1970s, Rodenstock achieved development better than the industry average in almost all divisions. The sales of lenses grew particularly dramatically. 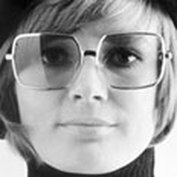 In the seventies, Rodenstock changed from being a frames dominated company into an ophthalmic lens dominated company. The first progressive lenses that they developed themselves, Progressive R, appeared on the market in 1981 and were an immediate success because they were recognised as an unsurpassed innovation. The frames market changed drastically in the eighties. Designer brands mushroomed up everywhere and cheap frames from Asia flooded the market. The health reform by the Minister of Health at that time, Norbert Blüm (CDU) had disastrous consequences. Turnover in the ophthalmic optics sector dropped by more than 20 percent in the first half of the year. Through a number of innovative products (progressive lenses, plastic lenses, surface finishing, phototropy), Rodenstock’s market share has grown constantly since the middle of the nineties. Under constant price pressures, production was increasingly outsourced to more cost-effective countries such as Thailand and the Czech Republic. Production in Germany is concentrated on the locations of Regen and Frankfurt/Main. During the course of the revitalisation of the brand, the spectacles collections were completely revised and repositioned following design criteria. Today, frames and sunglasses from Rodenstock are leading the market in Germany and are considered to be innovative, light, and functional. At the end of the nineties, Rodenstock parted ways with the lines of business involving optical instruments, machines as well as precision optics and concentrated exclusively on the core business - spectacles. The new generation of progressive lens spectacles, ImpressionILT, launched in the year 2000 made it possible for the first time to have individual adaptations when calculating the ophthalmic lenses, thanks to taking the shape of the face and the chosen frame into consideration. This resulted in a considerable improvement of the vision quality and the visual comfort. Two trendsetting innovations were presented at the OPTI trade fair in Munich in 2007: Impression FreeSign®, the world premier for optimised vision, and Informance®, a design study for the spectacles of the future from Rodenstock. Munich’s long-established company has strategically realigned on its 135 years pionieering position. Profit from its knowledge as a longstanding leader in quality and innovation, Rodenstock focuses on how to help you see better and look perfect. In 2012, Rodenstock succeeds at creating an absolute world premier with Eye Lens Technology (EyeLT®). The new Impression® 2 ophthalmic lenses with DNEye® enable for the first time to exploit 100 percent of one’s personal eyesight. The strive to continually move forward is also symbolized through removal of the headquarter’s office within Munich to Elsenheimer Street. Rodenstock picks up this spirit and combines it with claim to high-class rigour and functional aesthetics. Even the online world is revolutionized: Already featured in Social Media, Rodenstock has launched the website “House of Better Vision” - a virtual home which provides access to information for better understanding of our products in an entertaining way. Rodenstock is dedicated to make seeing come alive and is on course for further success.